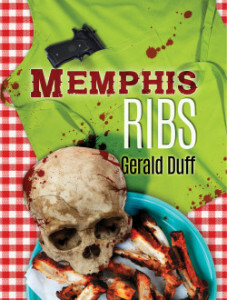 Thought Memphis Ribs seemed familiar when I read the email you sent where it was called Gerald Duff’s tasty new novel. I was positive that I had read it years ago and when I checked I saw it was published in 1999. It’s being republished by Brash Books on May 5. Sounds interesting! I’ll have to look into it. I agree about the low dives of Memphis part. I once went to a bar in Memphis where I was told just before entering, “This is the kind of place where they frisk you for a gun, and if you don’t have one, they give you one.” Inside, all they served were 40s of beer. Don’t remember if a plastic cup came with it or not.